During the Lenten season, the faithful abstain from meat on Fridays and undertake specific fasts on both Ash Wednesday and Good Friday. 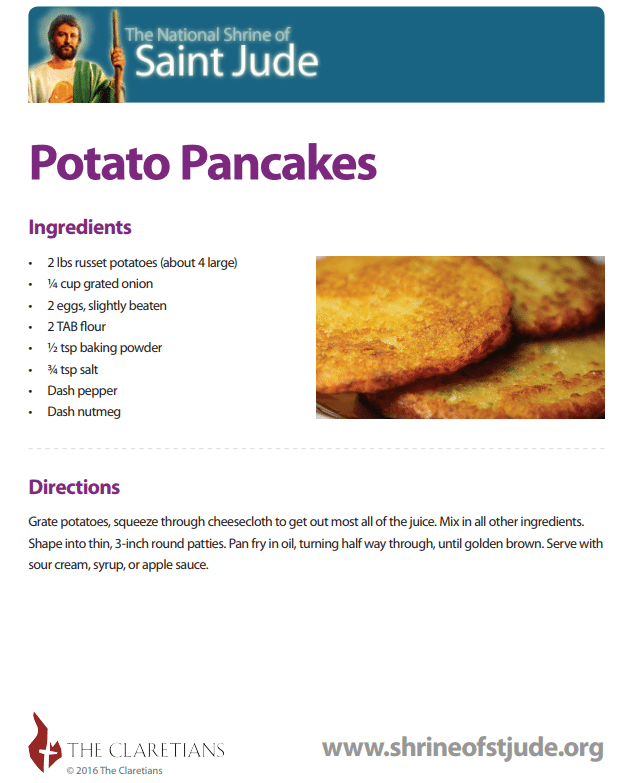 That's why the National Shrine of St. Jude put together this collection of Lent-friendly recipes that you and your family can enjoy throughout the Lenten season. Please take a moment now to download your FREE recipes by clicking any image.